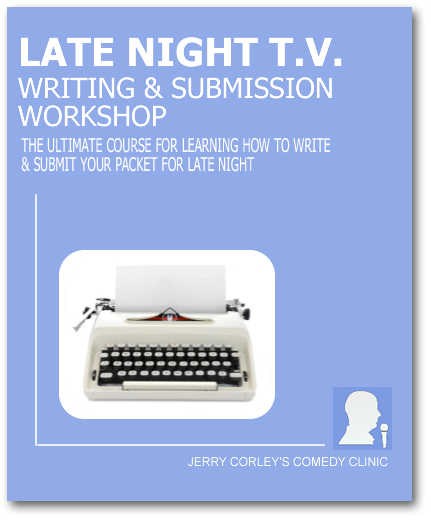 The 10-Part Video Course: Discover the secrets the 'pros' use to write for Late Night T.V. and how to connect with and submit to the right people. There's nothing like it on the web! This course will contain both video instruction from Tonight Show writer, Jerry Corley and pdf downloads of of the worksheets for everything covered in the workshop. This video course will be available for instant viewing after payment. This will take you to an payment instruction page.